As a means of rounding up Toronto’s various cinematic goings-on each week, Movie Mondays compiles the best rep cinema and art house screenings, special presentations, lectures, and limited engagements. Left to right: Juliette Danielle, Philip Haldiman, and Tommy Wiseau star in The Room. Photo courtesy of Wiseau Films. The TIFF Cinematheque reopens its doors at the beginning of next month with a summer program busting with arthouse cinema classics including Nicolas Ray’s fantastic Bigger Than Life and a slew of films by Akira Kurosawa. But before you sit down with all that refinement, there’s still time to cram in some guilty pleasures into your screening schedule—and this week is ripe with them. Considered by many to be among the best British films ever made, Michael Powell and Emeric Pressburger’s The Red Shoes screens Tuesday and Wednesday at the Fox Theatre in the Beaches. An exercise in Technicolor technology, The Red Shoes follows well-heeled dancer Vicky Page (Moira Shearer) as she grows from naive babe-in-the-woods to the lead dancer of an established ballet company. It’s kind of like Paul Verhoeven’s Showgirls except, you know, good. 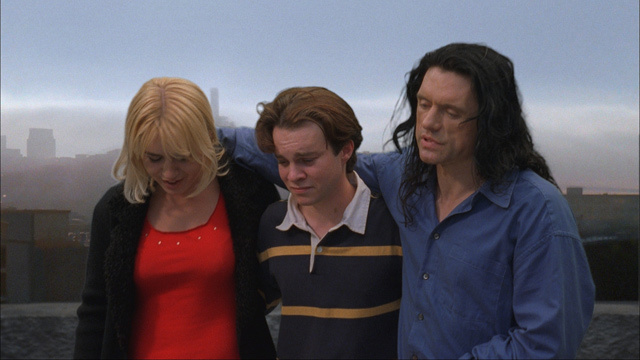 But if you’re looking for really good, then head to the Royal Friday night to check out the monthly screening of American indie auteur Tom Wiseau’s The Room. A heart-wrenching cottage melodrama set against a backdrop of drug abuse, breast cancer scares, cute doggies, and Golden Gate Bridges, The Room has emerged as one of the most beloved American features of the past decade. Buoyed by a graceful, measured turn by Juliette Daniel as the sensuous succubus, Lisa, and the consistent work of writer/director/producer/star Wiseau, The Room is unlike any other movie you’re likely to see. And the Royal’s devoted audience of Roomies always provides a respectful, contemplative environment for reflecting on Wiseau’s grandiose achievement in film and digital video technology. See it. You won’t be disappointed. Here’s one everybody’s anticipating. Since the trailer first emerged a while back, word has spread across the Internet that a movie called Birdemic may just be the new best worst movie ever. Made for a whole $10,000 U.S., Birdemic is a hopelessly cheap “romantic thriller” in which the otherwise peaceful lives of citizens in the San Francisco Bay area are disturbed when birds start attacking for no reason. The film is assailed by incompetence on all fronts—even promotion: after getting rejected from Sundance, the film’s producer drove around Park City, Utah in a van which had the film’s title misspelled on it—and has already been parodied by weirdo comic savants Tim Heidecker and Eric Wareheim on their popular Cartoon Network series. The Bloor will host the Toronto premiere of Birdemic Thursday at 9:30 p.m., marking the perfect chance to get in on the ground floor with the latest trend in cult movie trash. Tim Burton’s riff on Lewis Carroll’s Alice in Wonderland mythos drew mixed reviews when it debuted in theatres last February. But at the time, it seemed as if a lot of complaints revolved around the film’s last-minute 3D mastering: an attempt by Disney to cash in on the post-Avatar craze by having Johnny Depp’s mad hatter pop off the screen. It’ll be interesting to see how Burton’s film will hold up in a 2D second-run context, with all the bells and whistles stripped down considerably. Certainly, Burton’s latest isn’t for everyone. But if you find Wonderland’s sundry cast of psychedelic misfits appealing, you’ll probably be delighted by this film. Alice in Wonderland makes its second-run premiere at the Revue on Friday.